As families are also affected by the disease, IMCC offers support groups and individual or family consultations to reduce caregiver stress and provide practical solutions to caregiving challenges. 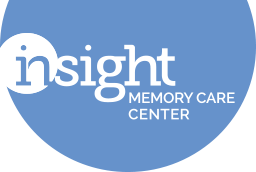 We also offer monthly memory screenings at our center free of charge. Led by experts in dementia care, support groups offer people in like circumstances the chance to share practical advice, discuss frustrations and fears and connect with others who are on a similar journey in a secure group environment. Every situation is unique. IMCC can meet with families in person or by phone to discuss a family’s specific needs or challenges and make recommendations of area resources that may be appropriate. Worried about a friend or loved one - or yourself? We provide free monthly memory screenings at our center! No appointments are necessary. The Memory Cafe is a social gathering where you and your loved one can come together in a safe, supportive environment, share conversation over a cup of coffee, or participate in fun, simple activities with the group. We can all use a vacation, but what about traveling when your loved one has dementia? It can certainly be difficult, and that’s why Insight Memory Care Center offers a Caregiver Cruise! The caregiver cruise provides families with a chance to vacation in a safe and supportive environment.